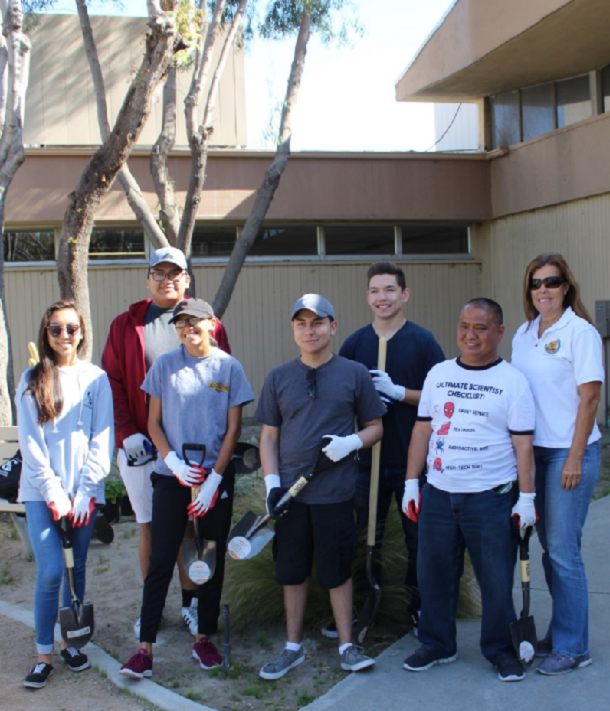 In celebration of Earth Day, the City held a beautification and clean-up event at Artesia Park on Saturday, April 21. The event brought together more than 30 community volunteers, who helped make Artesia Park a more beautiful open space in the City. Volunteers leant a hand by walking the park and picking up trash, tending to plants to ensure their health and beauty, and even planting new plants and flowers. In keeping with the City’s commitment to reducing its impact on the environment, volunteers added plants to the garden areas that require little to no water. For example, Lavender was added to the planter at the entrance of the Community Center, and Society Garlic was added to the planter in the southwest corner of the park. The City would like to thank the residents and local community members who volunteered. Volunteer participation helped to make this year’s event a success. Residents can look forward to an additional volunteer opportunity later this year, when the City hosts its fall beautification and clean-up day.